FIGURE 10.12 Schematic vertical section through a salt-gradient solar pond. flushing. Usually this layer is kept as thin as possible by the use of wave-suppressing surface meshes or by placing wind-breaks near the pond. 2. Non-convecting zone (NCZ). In this zone, both salinity and temperature increase with depth. The vertical salt gradient in the NCZ inhibits convection and thus gives the thermal insulation effect. The temperature gradient is formed due to the absorption of solar insolation at the pond base. 3. Lower convecting zone (LCZ). This is a zone of almost constant, relatively high salinity (typically 20% by weight) at a high temperature. Heat is stored in the LCZ, which should be sized to supply energy continuously throughout the year. As the depth increases, the thermal capacity increases and annual variations of temperature decrease. Large depths, however, increase the required initial capital expenditure and exhibit longer start-up times. In solar ponds, it is required to suppress natural convection. Many techniques have been considered for this purpose; the most common method used is salt stratification. Salinity increases with depth in the NCZ until the LCZ is reached (see Figure 10.12). In the LCZ, solar radiation heats the high-salinity water, but because of its high relative density, hot, salty water cannot rise into the lower salinity layers, thus the heat is trapped and stored for use. Chemically stable salts, as well as any natural brine, can be used in salt gradient solar ponds. A selected salt must be safe to handle, non-toxic, relatively cheap, and readily available, and its solubility should be temperature dependent and should not reduce significantly the insolation transmission characteristics of water. Sodium and magnesium chlorides, though satisfying most criteria, have solubilities that are modestly temperature dependent (Norton, 1992). Due to its low cost, sodium chloride remains the most popularly used salt. Inorganic dirt brought by the wind can enter the pond, but generally the dirt causes no problem as it settles at the bottom. Various species of freshwater and saltwater algae grow under the conditions of temperature and salt concentration that exist in a stratified solar pond. Algae growth is undesirable because it reduces solar transmissivity. Most of these algae species are introduced by rainwater and air-borne dust. An effective way to prevent algae formation is to add copper sulphate at a concentration of about 1.5 mg/L. 1. Control of the overall salinity difference among the three convecting layers. 2. Reducing internal convection currents in the NCZ. 3. Limiting the growth of the UCZ. Additionally, the efficiency of a solar pond is limited by some intrinsic physical properties. The first thing that reduces the efficiency is the reflection losses at the surface of the pond. After penetrating the surface, in the first few centimeters of water, the insolation is rapidly attenuated by about 50%, since half the solar spectrum is in the infrared region, for which water is almost opaque. This is the reason the shallow ponds yield negligible temperature rise. Practical efficiency values for ponds of 1 m depth are on the order of 15-25% (Tabor, 1981). These figures are lower than for flat-plate collectors, but the lower cost, the built-in storage capability, and collection over large areas make solar ponds attractive under suitable environmental conditions. Generally, because the economics of solar ponds improve with size, large ponds are preferred. 1. Since solar ponds are horizontal solar collectors, sites should be at low to moderate northern and southern latitudes, i.e., latitudes between ±40°. 2. Each potential site has to be evaluated for its geological soil characteristics because the underlying earth structure should be free of stresses, strains, and fissures, which could cause differential thermal expansions, resulting in earth movement if the structure is not homogeneous. 3. Since the thermal conductivity of soil increases greatly with moisture content, the water table of the prospective site should be at least a few meters below the bottom of the pond to minimize heat losses. 4. A source of cheap salt- or seawater should be available locally. 5. The site should be fairly flat to avoid moving large quantities of earth. 6. A cheap source of water must be available to make up for evaporation losses. Generally, two types of leakages occur in solar ponds: leakage of the saline water from the bottom of the pond and leakage of heat into the ground. The loss of hot saline water is the most serious, since it results in the loss of heat and salt. Additionally, the solar pond must not pollute the aquifers, and any continuous drain of hot water lowers the pond's storage capacity and effectiveness. Therefore, the selection of a liner for the pond is very important. Although it is possible to build a soil liner by compacting clay, in most cases, the permeability is unacceptable because the resultant loss of hot fluid to the soil increases thermal losses, requires replenishment of salt and water, and may present an environmental problem. All ponds constructed up to today have a plastic or elastomer liner, which is a reinforced polymer material 0.75-1.25 mm in thickness. The lining represents a considerable but not critical cost item that should be considered in cost analysis. Evaporation is caused by insolation and wind action. The evaporation rate depends on the temperature of the UCZ and the humidity above the pond's surface. The higher the temperature of the water in the UCZ and the lower the humidity of ambient air, the greater is the evaporation rate. Excessive evaporation results in a growth of the UCZ downward into the NCZ (Onwubiko, 1984). Evaporation can be counter-balanced by surface water washing, called surface flushing, which could compensate for evaporated water as well as reduce the temperature of the pond's surface, especially during periods of high insolation. In fact, surface flushing is an essential process in maintaining the pond's salt gradient. Its effect on the growth of UCZ is reduced if the velocity of the surface washing water is small. Surface temperature fluctuations will result in heat being transferred upward through the UCZ by convection, especially at night, and downward by conduction. The thickness of the UCZ varies with the intensity of the incident radiation (Norton, 1992). Another method to reduce the evaporation rate is by reducing the wind velocity over the water's surface by using windbreaks. The sheer forces of wind on a large area of water generate waves and surface drift. The kinetic energy transferred to the water is consumed partly by viscous losses and partly by mixing of the top surface water with the somewhat denser water just below the surface. When light to moderate winds exist, evaporation can be the dominant mechanism in surface layer mixing. Under strong winds, however, evaporation becomes of secondary importance because wind-induced mixing can contribute significantly to the deepening of the UCZ (Elata and Levien, 1966). Another effect of wind is that it induces horizontal currents near the top surface of the pond, thus increasing convection in the UCZ. Wind mixing has been reduced by floating devices such as plastic pipes and plastic grids. The pond is filled in layered sections, one after the other, each layer having a different salt concentration, as indicated above. Usually, these layers are built from the bottom upward, with the densest bottom layer filled first and subsequent lighter layers floated on the denser layer. Shortly after the stepwise filling process, the pond gradient smoothes itself, due to the diffusion and kinetic energy of liquid flow injected into the pond during the filling process (Tabor, 1981). Salt slowly diffuses upward at an annual average rate of about 20 kg/m2 as a result of its concentration gradient (Norton, 1992). The diffusion rate depends on the ambient environmental conditions, type of salt, and temperature gradient. A combination of surface washing with freshwater and the injection of adequate density brines at the bottom of the pond are usually sufficient to maintain an almost stationary gradient. A solar pond is usually constructed by flattening the site and building a retaining wall around the perimeter of the pond, not by digging out the earth; thus only a small fraction of the earth is moved, which reduces costs drastically. To avoid the use of wall supports, the earth walls thus built are tapered with a slope of 1 in 3, which gives an inclination of about 20° (Tabor, 1981). Preferred sites for solar ponds are near the sea, where saline water is locally available; otherwise, a large quantity of salt needs to be purchased. Sufficient quantities of low-salinity or freshwater are also required for the UCZ and for surface washing. which is supplied with hot saline water from the LCZ and returns the fluid to the other end of the pond at the same layer. For this purpose, horizontal nozzles that keep the velocity of efflux low are usually used. The same nozzles can also be used for filling the pond. ¿=i where the coefficients ai and bi are given in Table 10.4. It should be noted that Eq. (10.11) does not include the transmission in the infrared part of the spectrum (X > 1.2 |m), since this part is of no interest in solar pond analysis. Additionally, detailed analysis of heat transfer in a solar pond is very complex; it includes effects of volumetric absorption and variation of conductivity and density with salinity. The interested reader is referred to the articles by Tsilingiris (1994) and Angeli et al. (2006). Find the transmittance of a solar pond for a depth of 0.6 m.
Solar ponds can be used to provide energy for many different types of applications. The smaller ponds have been used mainly for space heating and cooling and domestic hot water production, whereas the larger ponds are proposed for industrial process heat, electric power generation, and desalination. Solar ponds are very attractive for space heating and cooling and domestic hot water production because of their intrinsic storage capabilities. To increase the economic viability, large solar ponds can be used for district heating and cooling, and such a system can offer also seasonal storage. However, no such project has been undertaken so far. Cooling is achieved with the use of absorption chillers, which require heat energy to operate (see Chapter 6, Section 6.4.2). For this purpose, temperatures of about 90°C are required, which can easily be obtained from a solar pond with little fluctuation during the summer period. Although many feasibility studies have been made for the generation of electric power from solar ponds, the only operational systems are in Israel (Tabor, 1981). These include a 1500 m2 pond used to operate a 6 kW Rankine cycle turbine-generator and a 7000 m2 pond producing 150 kW peak power. Both of these ponds operate at about 90°C. A schematic of the power plant design, working with an organic fluid, is shown in Figure 10.13. For power production in the multi-megawatt range, a solar pond of several square kilometers surface area is needed. However, this is not feasible economically, since excavation and preparation account for more than 40% of the total capital cost of the power-generating station (Tabor, 1981). So, it would appear logical to employ a natural lake and convert a shallow portion of it to a solar pond. FIGURE 10.13 Schematic of a solar pond power generation system. areas near oceans. Solar pond coupled desalination also involves the use of the hot brine from the pond as a thermal source to evaporate the water to be desalted at low pressure in a multiple-effect boiling (MEB) evaporator. The low pressure is produced by vacuum pumps powered by the electricity produced by the organic Rankine cycle engine. Matz and Feist (1967) propose solar ponds as a solution to brine disposal at inland ED plants as well as a source of thermal energy to heat the feed of an ED plant, which can increase its performance. 10.1 In a simple Rankine steam cycle, the boiler gives steam at 60 bar and 550°C. The condenser operates at 0.1 bar. If both pump and turbine efficiencies are 90%, estimate the cycle efficiency. 10.2 In a reheat Rankine cycle, a CSP system gives steam at 50 bar and 400°C. After expansion in the high-pressure turbine to 6 bar, the steam is reheated again to 400°C and expands again in the low-pressure turbine to a pressure of 0.1 bar in a dry, saturated steam condition. If the steam leaves the condenser as a saturated liquid and the pump and high-pressure turbine efficiency is 85%, determine the efficiency of a low-pressure turbine, the work output of the two turbines, the work input to the pump (both per unit mass of working fluid), the heat added by the CSP system, and the cycle efficiency. If the solar radiation is 900 W/m2 and the CSP system operates at 40% efficiency, how many square meters of collectors are required if the steam flow rate is 1 kg/s? 10.3 Repeat Example 10.2 for a turbine and pump efficiency of 90%. Also estimate the boiler heat required. 10.4 Find the transmittance of a solar pond for a maximum depth of 2 m.
Angeli, C., Leonardi, E., Maciocco, L., 2006. A computational study of salt diffusion and heat extraction in solar pond plants. Sol. Energy 80 (11), 1498-1508. Chavez, J.M., Kolb, G.J., Meineck, W., In: Becker, M., Klimas, P.C. (Eds. ), 1993. Second Generation Central Receiver Technologies—A Status Report. Verlag C.F. Müller GmbH, Karlsruhe, Germany. Elata, C., Levien, O., 1966. Hydraulics of the Solar Ponds. International Association for Hydraulic Research, Eleventh International Congress, Leningrad Report 2.3, pp. 1-14. Geyer, M., Quaschning, V., 2000. Renewable Energy World, July-Aug. 2000, pp. 184-191. Hassairi, M., Safi, M.J., Chibani, S., 2001. Natural brine solar pond: an experimental study. Sol. Energy 70 (1), 45-50. Kearney, D.W., Price, H.W., 1992. Solar thermal plants—LUZ concept (current status of the SEGS plants). Proceedings of the Second Renewable Energy Congress, Reading, UK, vol. 2, pp. 582-588. LUZ, 1990. 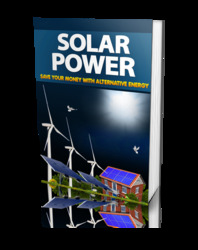 Solar Electric Generating System IX Technical Description. LUZ International Limited. Matz, R., Feist, E.M., 1967. The application of solar energy to the solution of some problems of electrodialysis. Desalination 2 (1), 116-124. Muller-Steinhagen, H., Trieb, F., 2004. Concentrating solar power: a review of the technology. Ingenia 18, 43-50. Nielsen, C.E., 1976. Experience with a prototype solar pond for space heating. Sharing the Sun, vol. 5, ISES, Winnipeg, Canada, pp. 169-182. Norton, B., 1992. Solar Energy Thermal Technology. Springer-Verlag, London. Onwubiko, C., 1984. Effect of evaporation on the characteristic performance of the salt-gradient solar pond. Solar Engineering, Proceedings of ASME Solar Energy Division, Sixth Annual Conference, Las Vegas, NV, pp. 6-11. Pitz-Paal, R., 2002. Concentrating solar technologies—The key to renewable electricity and process heat for a wide range of applications. Proceedings of the World Renewable Energy Congress VII on CD-ROM, Cologne, Germany. Schwarzbozl, P., Pitz-Paal, R., Meinecke, W., Buck, R., 2000. Cost-optimized solar gas turbine cycles using volumetric air receiver technology. Proceedings of the Renewable Energy for the New Millennium, Sydney, Australia, pp. 171-177. Sencan, A., Kizilkan, O., Bezir, N., Kalogirou, S.A., 2007. Different methods for modeling an absorption heat transformer powered from a solar pond. Energy Convers. Manage. 48 (3), 724-735. Tabor, H., 1981. Solar ponds. Sol. Energy 27 (3), 181-194. Taggart, S., 2008a. Parabolic troughs: CSP's quiet achiever. Renewable Energy Focus March-April, 46-50. Taggart, S., 2008b. Hot stuff: CSP and the power tower. Renewable Energy Focus May-June, 51-54. Tsilingiris, P.T., 1994. Stead-state modeling limitations in solar ponds design. Sol. Energy 53 (1), 73-79. Wolff, G., Gallego, B., Tisdale, R., Hopwood, D., 2008. CSP concentrates the mind. Renewable Energy Focus January-February, 42-47. The /-chart method was developed by Klein et al. (1976; 1977) and Beckman et al. (1977). In the method, the primary design variable is the collector area, while the secondary variables are storage capacity, collector type, load and collector heat exchanger size, and fluid flow rate. The method is a correlation of the results of many hundreds of thermal performance simulations of solar heating systems performed with TRNSYS, in which the simulation conditions were varied over specific ranges of parameters of practical system designs shown in Table 11.1 (Klein et al., 1976; 1977). The resulting correlations give / i.e., the fraction of the monthly load supplied by solar energy, as a function of two dimensionless parameters. The first is related to the ratio of collector losses to heating load, and the second to the ratio of absorbed solar radiation to heating load. The heating load includes both space heating and hot water loads. The /-charts have been developed for three standard system configurations: liquid and air systems for space and hot water heating and systems for service hot water only.
' At where L = total heating load during the integration period (MJ). How to construct solar pond? How to reduce salinity of ponds? How do solar ponds give energy? How do solar ponds affect the environment?